This is an oldish video that I had come across on YouTube some time back but I absolutely love it to death! The 3 pugs are unbelievably cute doing the head tilt. I don’t know what it is about dog stories but they always make me cry……….a sad story, a happy story, and yes sometimes even a funny one has managed to do that! I guess it has something to do with the feelings of innocence, loyalty, and the purest of emotions that reflect in these stories that always manage to tug at your heart. Whether its movies like Lassie, Marley, or books like Chicken Soup for Dog Lover’s Soul…there’s something in these that always stays with you. 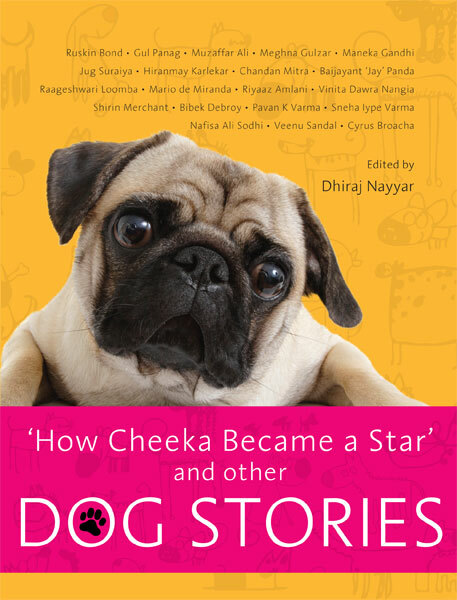 So when I started reading this pink and glossy book “How Cheeka Became a Star and Other Dog Stories” I knew I would need a box of Kleenex, but what I didn’t know was how much I was going to love it! According to the note on book’s jacket, “This book is a collection of interesting stories about dogs written by eminent personalities from all walks of life. Not every contributor to this book is a writer. Each one, however, is a dog lover” to which I was like OK so its dog stories shared by famous people. But then I turned the page and my view changed. To greet me were funny illustrations, inspiring doggie quotes and an honest confession by the editor of the book that he was not always a dog lover. 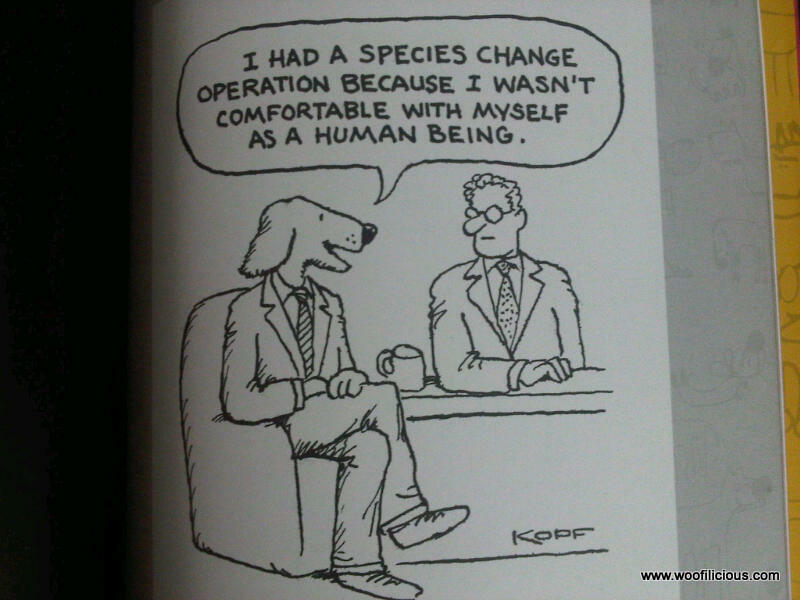 In fact for the better part of his life he disliked dogs! 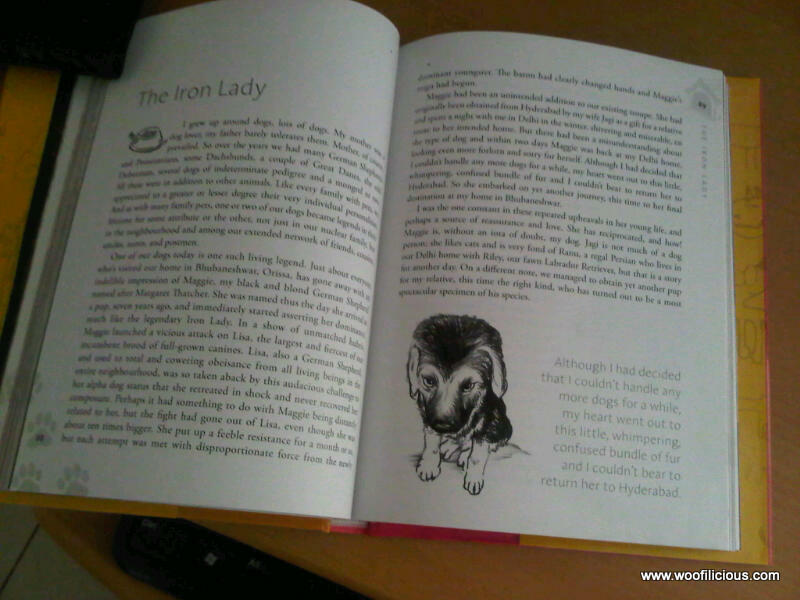 What followed in the editor’s note actually became one of my favorite stories in this book, it’s the story of how an old dog changed a person’s outlook. It also gives you a glimpse into the irrational fear or dislike non dog lovers harbor towards these angelic beings, and most often than not, the only reason for that being that they never grew up with dogs! Well moving on, since the name of the book promised I will get to know how Cheeka became a star, I flipped the pages to land on an utterly cute pug in a head tilt! 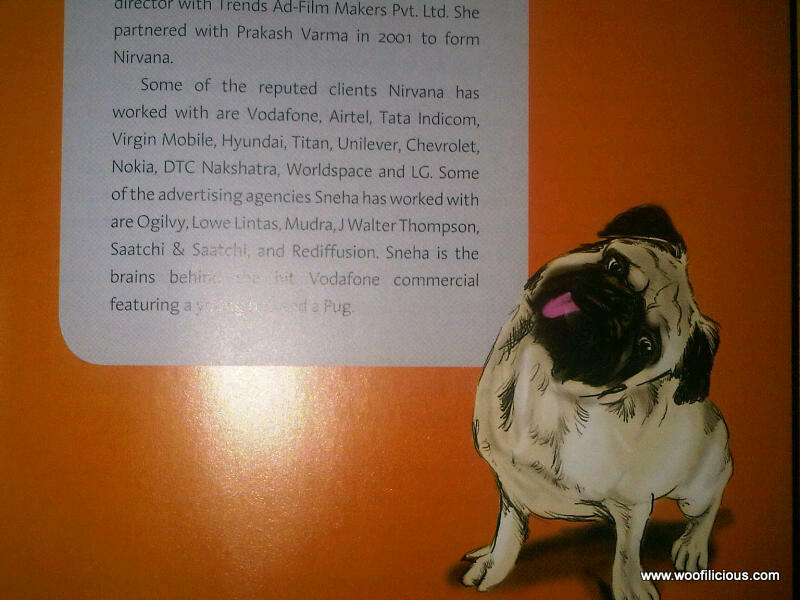 Cheeka, if you don’t know, is the now very famous pug in the Vodafone commercials. Super excited to read the story behind it, I got to know that not only was Cheeka not a professionally trained dog, a fox terrier was originally cast for this role! Now with the book delivering what it said, I flipped through the whole book before settling in for serious reading and was delighted to come across these hilarious cartoons (see pic below). In between each story are such illustrations, doggie quotes like “To err is human, to forgive canine” and not always necessary but certainly interesting doggie facts like “Two dogs survived the Titanic…….”. 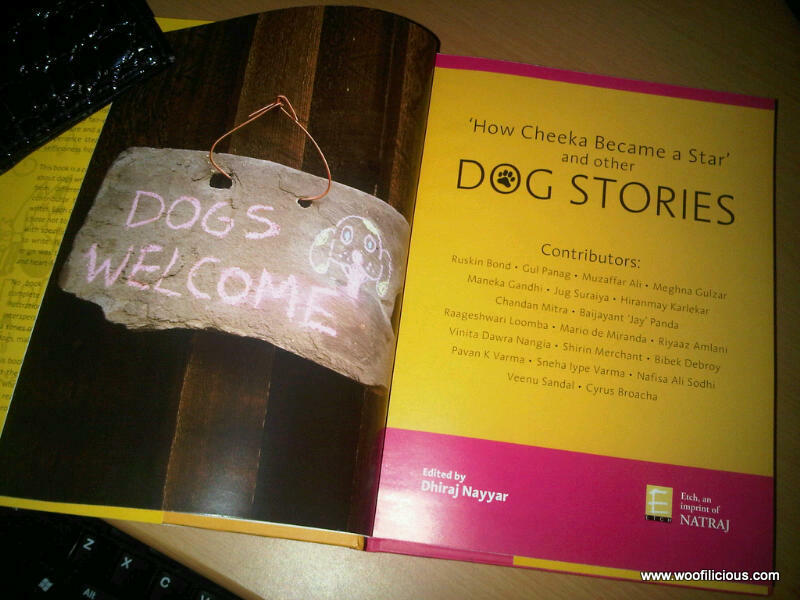 The people who have contributed to this book have shared stories of dogs who left impact on their lives. The fact that these stories are not written by professional writers, makes these stories so much more realistic and I found myself relating to them so easily. The stories shared in this book do not follow any set trend or theme…..each one is totally different and take you to a different place and time. – Extraordinary story of Macho’s struggle to get back on his paws after a paralysis attack left him immobile and Nafisa Ali’s belief in him and the care she provided to this fur ball who’s fate was to be to put to sleep. While reading this story I could feel Nafisa’s pain, Macho’s strong will, and then tears, yes there they were, but happy ones as Macho got up one day and wiggled his tail! – On a completely different not was Milo and Gul Panag’s story………Milo the joker and oh his absolutely hilarious antics that resulted in getting him kicked by a cow and attracting an elephant’s fury! – Bhakt Sarameya – I am not quite sure of what to make of this story. Its so unreal and yet so eerily believable. It’s the story of Hiranmay Karlekar, a noted author and animal welfare activist, and his strange encounter with the dogs believed to be in the paranormal realm. It definitely reminded me of Twilight! – The next one that I absolutely loved reading was by Cyrus Broacha. We all love him for his wit and humor and his absolute joker ways but I loved him more after reading this account…….he narrates the story in his signature style, I could almost imagine him on TV speaking instead of me reading it! The story reflects his inhibited passion for dogs and his equally vocal dislike for non dog-lovers. I love it where he says, ” I have nothing to say to a non dog-lover. I have no interest in them and never will.” Another of his line that touched my heart was, “Some will say husband and wife, some will say mother and son……I’ll take dog and man any day”. So true Cyrus…so true. The above is just a glimpse of what this book has in store. If I have to, I’ll gift it to a non dog-lover so that they can see what they are missing from life. And if they are lucky enough, maybe a dog will come in their lives and make it complete. 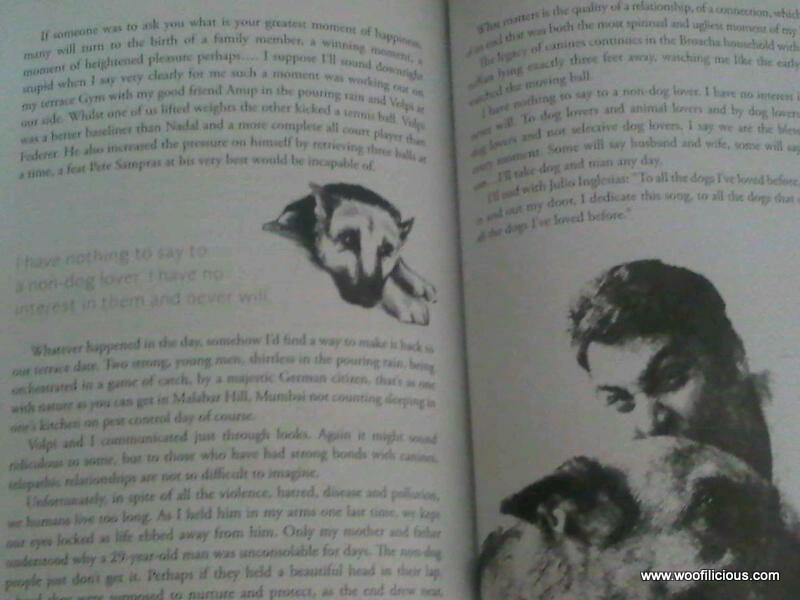 For us dog lovers, all I can say is this book is a treat…for your eyes, for your mind, and for your doggone hearts! 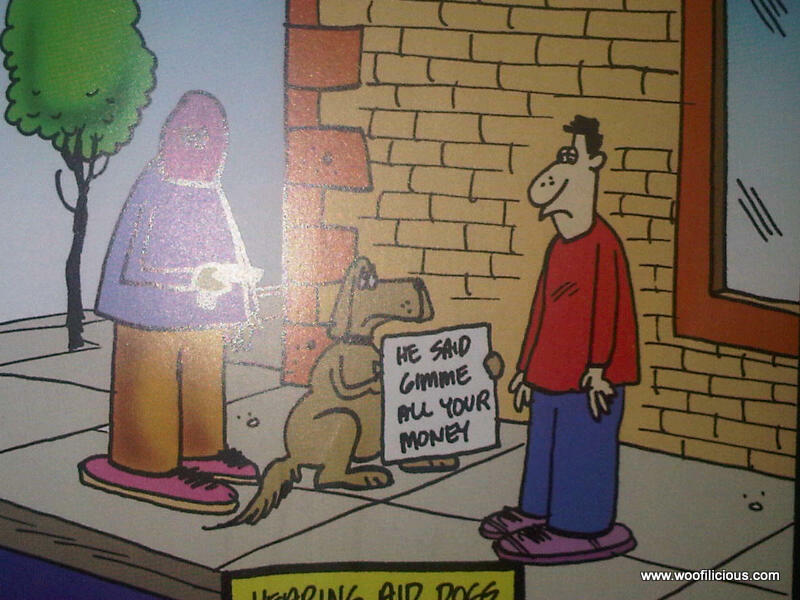 Ok so maybe a funny cartoon too……. …….that’s it guys, no more snooping. Now get your own copy! Have you heard the saying “I carry my heart on my sleeve”? If no, then look it up and you’ll know it means someone who proudly embraces and professes his/her love in front of everyone. This charmed bracelet lets you do the same! ……..let’s you tell the world you have a special friend who’s love to you is unconditional and blind. These exotic handmade bracelets are made from glimmering czech fire polished glass and are offset with pewter beads. A slight variance in the color of the beads gives these bracelets a fluid look. 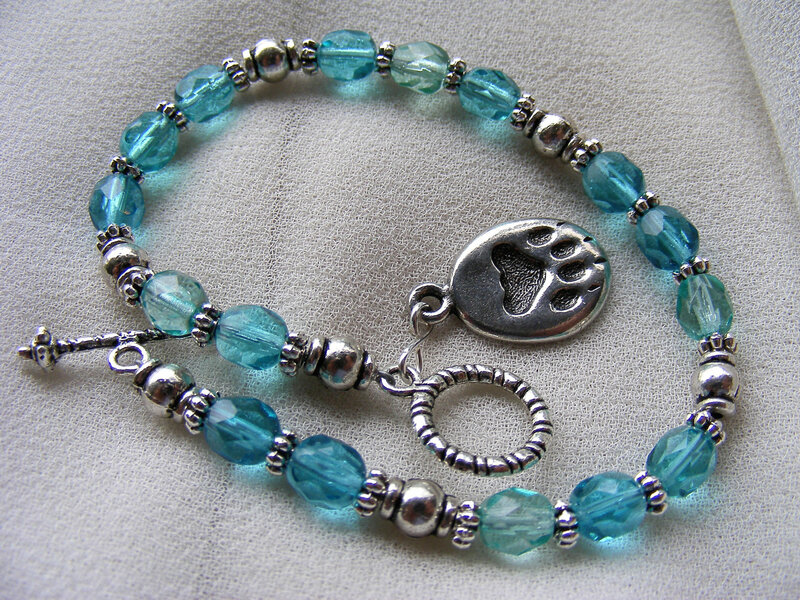 Each bracelet is finished with a pewter toggle and a cute pet lover charm with paw print! 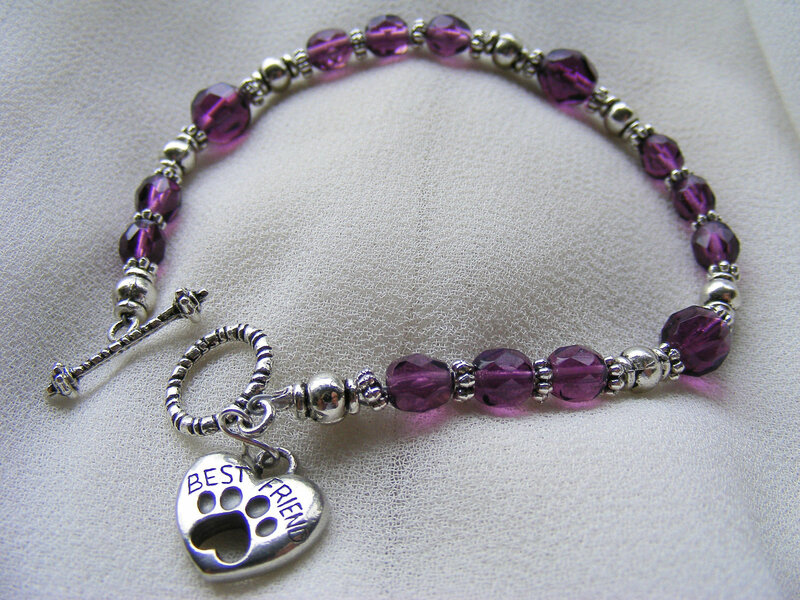 Some of the the charms say “Best Friend” with a paw print. 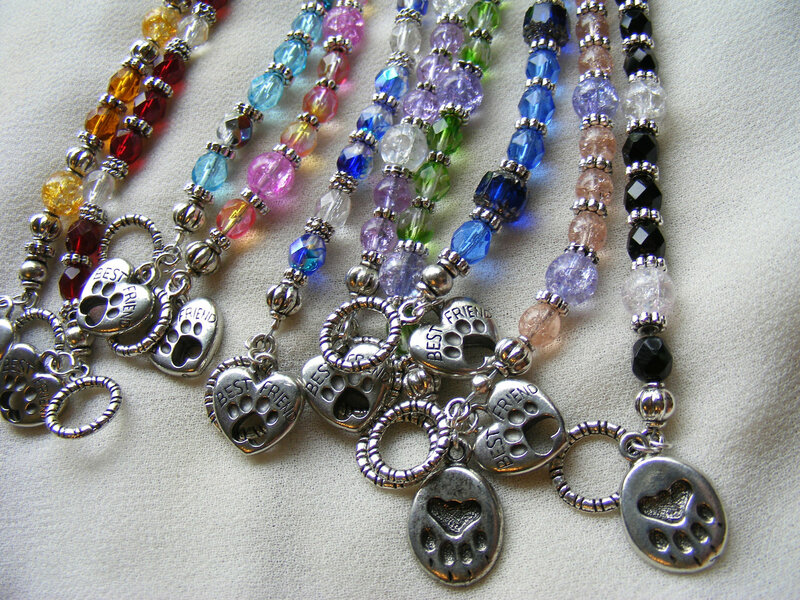 Brought to you exclusively by Woofilicious, these charmed pet lover bracelets are available in beautiful colors like aqua, amethyst, amber, sapphire, olive green, turquoise and more, and are for the true dog lovers! These will be available on http://www.woofilicious.com at 799/- for a limited time. Funniest, wackiest, cutest…..we scour the net to give you our daily pick here! 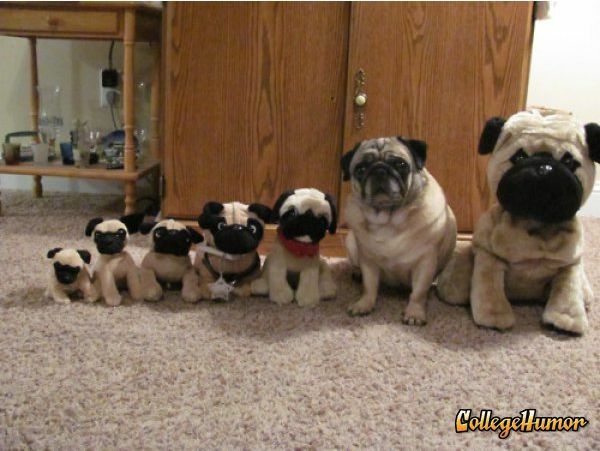 Can’t decide if the real pug’s confused expression is the winner or the fake pug # 4’s spooky look!